Republican replacement bill for Obamacare introduced March 6, 2017, failed, reintroduced with changes 5/1/17 and passed in the House 5/4/17. What is the GOP’s political calculation on health care? Sacramento offers a preview of the 2020 Democratic platform. As California liberals go, the Democratic Party often follows. So it’s instructive, if not surprising, that Golden State Democrats are responding to the failure of ObamaCare by embracing single-payer health care. This proves the truism that the liberal solution to every government failure is always more government. Many on the left championed single-payer in lieu of ObamaCare’s regulations and subsidies, but in 2010 it lacked enough support among Democrats in Congress. But with premiums soaring and insurers fleeing the Affordable Care Act exchanges, progressives are now trying to pivot to achieve their longtime dream. 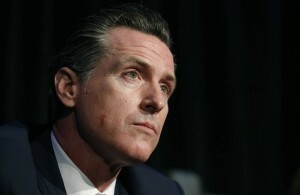 California Lieutenant Governor Gavin Newsom, the front runner to succeed Jerry Brown as Governor next year, is running on single-payer, which shows the idea is going mainstream. At the state Democratic convention last weekend, protesters shouted down speakers who dared to ask about paying for it. The state Senate Appropriations Committee passed a single-payer bill this week, and it has a fair chance of getting to Mr. Brown’s desk. The bill reflects the left’s Platonic ideal, with the promise of free care for everyone for everything. Patients would be entitled to an essentially unlimited list of benefits including acupuncture and chiropractic care as well as “all medical care determined to be medically appropriate by the member’s health care provider.” They could see any specialist without a referral. Co-pays and deductibles and charging premiums would be prohibited. There would thus be no restraint on health-care utilization and costs. Patients could get treated for virtually any malady by any physician at no cost. This is probably what kids educated at California’s pre-eminent universities envision when politicians and professors promote single-payer: an efficient, free, munificent socialist paradise. But even paradise has a price. The Senate committee pegged its bill’s cost at $400 billion a year, which is likely conservative since analysts assume utilization rates close to those for Medicaid in which patients lack access to many specialists. About $200 billion could be re-allocated from other government health-care programs including Medicaid and Medicare, though this would require federal waivers. The rest would require higher taxes. CBO estimate says House GOP Health bill would lower premiums, add 23 Million Uninsured and cut $119 Billion in deficit through 2026. The health-overhaul bill approved by House Republicans would leave 23 million more people uninsured while reducing the cumulative federal deficit by $119 billion in the next decade compared with current law, according to an estimate from the Congressional Budget Office. The report by the nonpartisan CBO is likely to roil the current Senate talks over its version of the bill to repeal and replace former President Barack Obama’s 2010 Affordable Care Act. The findings provide ammunition for the two competing factions that Senate Republican leaders need to pull together to pass a bill. Centrist Republicans, concerned about the number of uninsured, hope to make the House bill less far-reaching, while conservatives want to double down on measures the CBO suggests will lower premiums on average. The latest report doesn’t differ significantly from the CBO’s analysis of an earlier version of the House bill, which estimated 24 million fewer people would be insured through 2026 than under the current health law. Democrats said it confirmed that the GOP health push would harm millions of Americans. Some Senate Republicans say privately that their efforts to forge an agreement that can attract at least 50 votes faces a tough road. A working group of 13 Republican senators is pushing to come up with a proposal by Congress’s August recess, and if they don’t make progress in coming months, that could forecast trouble. Are Pre-Existing Conditions Actually The Critical Element of Repeal?